Wine drinkers and wine lovers; attention! Whether you conclude a long day with a refreshing glass of pinot noir or whatever your preference is, we've got a good one today for you! Naked Wines is a wine company and online marketplace to find independent craft winemakers from what Naked Wines calls Angels, at a great price that usually saves you 40-60% off the retail price of the wine. Besides getting great deals on wine, Naked Wines also offers free samples that you can add to your orders. You can't find these independent wines in stores and they are specifically made and bottled for Naked Wines, which makes them very original and unique for those that love to find new wines. 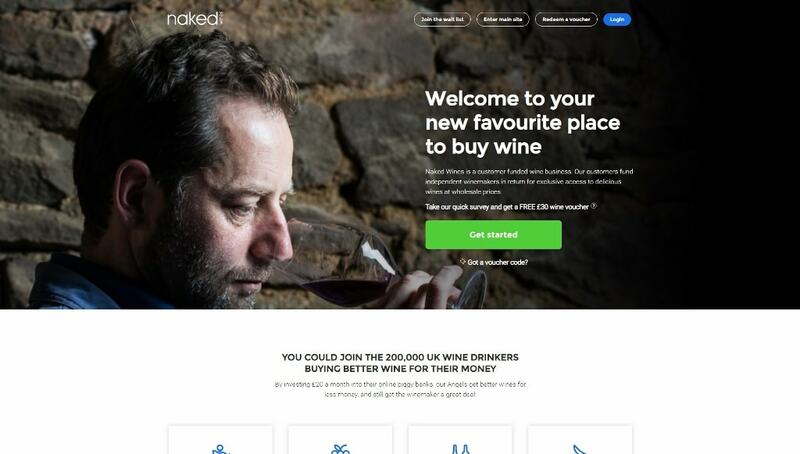 Naked Wines helps to fund independent winemakers, or Angels, to follow their dreams in making high quality wines, and pass them on to wine lovers at a great discount in return. Continue reading this Naked Wines review to see if this wine retailer is the right choice for you! Is Naked Wines Worth It For Me? There are a lot of great features with Naked Wines, but the ones that stand out are the affordable monthly subscription price of $40 which you can use towards independent wines that can't be found anywhere else. Also, unlike some other wine clubs, you get to choose what specific wines you would like after your first order using the $100 off voucher. 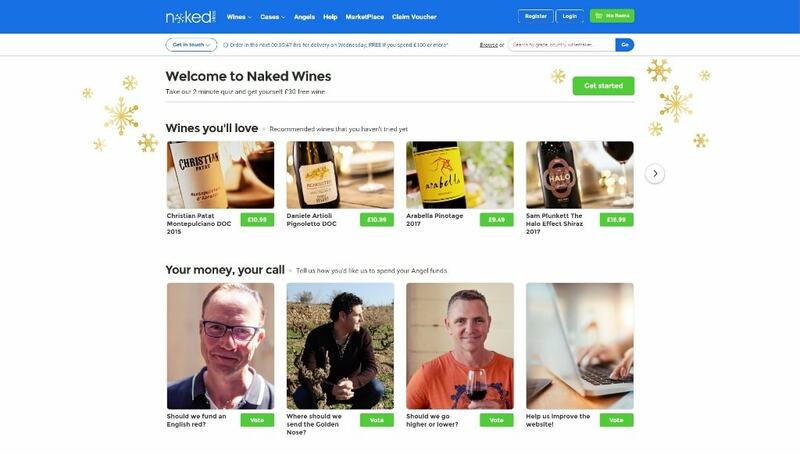 You probably have seen or received a Naked Wines $100 voucher which you can use on their site for your first order to get great independent wines you probably can’t find at your local wine stores. 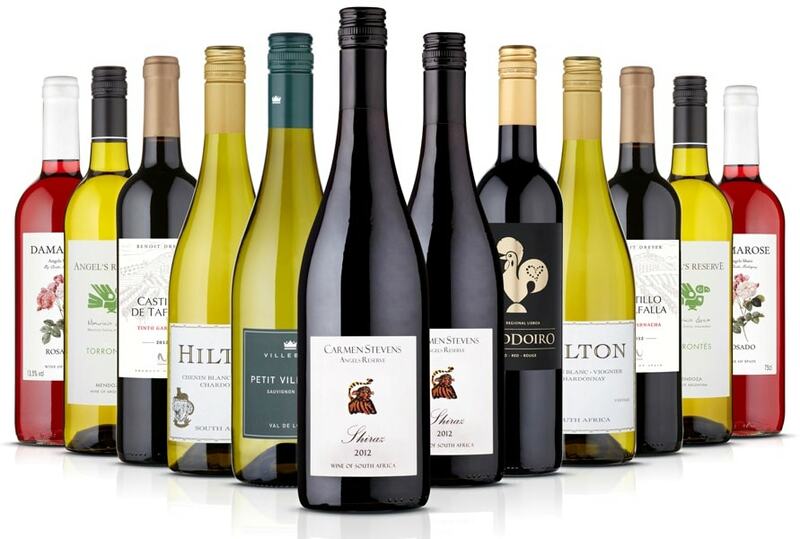 For your first order you choose between a red case, white case, or a mixed case of 12 bottles of wine. You can expect your wine to be shipped to your door, your work (during normal business hours), or a FedEx store typically within 2-6 business days. Someone 21 or older is required to sign for the package when delivered or being picked up. After your first order with $100 off on a case, you will be added to a waiting list to become a member of Naked Wines. Once you become a member, the card you used for your first case will be charged $40 every month. You can use this money towards purchasing the wine of your choice however often you prefer. Shipping is free within the United States for orders that are more than $100, which you will accrue from your membership cost after 3 months or you can just pay more than your $40 monthly membership fee to get free shipping if you want wine more frequently. Orders that are less than $100 have a charge of $9.99 added to your order. When you consider the deeply discounted wines you’ll be receiving that would be extremely hard to find elsewhere or in stores, there is an amazing value not only financially, but with the quality and rarity of wines that you are getting. Naked Wines not only saves all of your orders, has detailed customer reviews and ratings from other customers, but they also give you recommendations on what you’ve ordered before and what you have liked. You can conveniently review wines you looked, or didn’t like, in their free app to easily track wines for future purchases. They also have easy to use filtering options like sorting by ratings from 70%, 80%, and 90%+, what countries the wine is made in, price ranges, type and styles of wine, alcohol content percentage, winemakers, and more so you can quickly find the wines that are right for you. For whatever reason you decide you no longer want a Naked Wines subscription, they have a very easy and hassle free way to to cancel. You can also put your membership on hold at any time. If you didn’t realize that there was a monthly membership subscription after you cleared the waiting list and feel that Naked Wines is a scam - worry not because you can get your money fully refunded when cancelling your monthly membership. Also, if you choose to cancel your subscription at any time, your remaining funds within Naked Wines will be refunded back to the card that was used. You can also choose to use your remaining funds for an order and then close out your account. Generally, most wine enthusiasts have found plenty of wines to build a case to their liking, both for their wallets and their palates. There is something for everyone from different countries around the world that are only made for Naked Wines and can not be found in stores. Most customers report great reviews about their Naked Wine experiences. The only bad reviews found online were from people that weren't aware there would be a monthly charge of $40 after they made their first order and then made it through the waiting list, even though Naked Wines regularly sends emails to remind you of this upcoming charge. Also, be sure to give your delivery plenty of time if you are ordering right before the holidays. While it still should be within the 2-6 business days they claim, they can be busier during the holidays and let you know if your shipment may take longer than expected before you order. Naked Wines has a fairly simple sign-up process to get your case of wine delivered to you quickly at a great price. Typically you will find that most bottles are $10-15 to spend your $40 monthly subscription, which is a great price when compared to other wine subscriptions. VineOh! charges $59.99 for a box of 2 bottles along with body products and other snacks. Vinebox charges less per month at $29, but you only get 3 smaller bottles of wine. Blue Apron Wine charges more at $65.99 per month for 6 small 600ml bottles of wine. Bright Cellars costs more at $60 per month, which gets your 4 bottles of wine each month. Plonk Wine Club has monthly or quarterly subscriptions that cost from $54.99 for 2 bottles to $249 for a case of a dozen wine bottles. Glassful charges $54 a month which gets you 3 bottles. Martha Stewart Wine Co. will ding your card for $59.99 a month and get you a half case of wine. Gold Medal Wine Club gets you 2 bottles of wine each month at a cost of $39. Firstleaf charges $79 a month for 3 bottles directly from winemakers. International Wine of the Month Club has their subscriptions starting out at $35.95 for 2 bottles a month, but you can't choose which wine you want like Naked Wines. California Wine Club will get you 2 bottles of wine a month for $39.95, but only wines from California instead of wines made around the world like with Naked Wines. Cellars Wine Club will get you started with one bottle a month for the recurring price of $29. Wine Down Box also gets you one bottle a month but at $49 plus some cheese and charcuterie for two. Wine of the Month Club will send you 3 bottles of wine per month for $44.95. As you can see, Naked Wines gets you independent wine from around the world for only $40 a month, which is a lot cheaper than a lot of these subscriptions. Within the mainland United States, shipping is $9.99 for orders below $100. Orders above $100 have free shipping, but Alaska and Hawaii have higher shipping fees and longer delivery times. How quick will I get my wine? Typically you will receive your wine within 2-6 business days. For New Jersey, Hawaii and Alaska it can take up to 14 business days. What if no one is home to sign for the delivery? It is required for someone 21 or above to sign for the delivery, but if nobody is there the shipper will attempt to deliver three times. If you are unsure if someone will be home, you can have your wine shipped to your workplace or a FedEx location for easy pickup. What states does Naked Wines ship to? Naked Wines ships to the following states: AK, AZ, CA, CO, CT, DC, FL, GA, HI, IA, ID, IL, IN, KS, LA, MA, MD, ME, MI, MN, MO, MT, NE, NV, NH, NY, NJ, NM, NC, ND, OR, PA, SC, SD, TN, TX, VT, VA, WA, WI, WV, WY. Keep in mind that they can not ship to PO Boxes. What if I don't like a bottle of wine? Naked Wines offers their customers a money back guarantee, so if you don't love the wine you got you can contact their customer service to receive a refund. If you are someone who likes to try new and unique wines, or even if you just want a quality wine at great prices delivered right to your door then Naked Wines is for you. At $40/month with free sample bottle offerings, you'll find that you can get a great case of wines that you wouldn't be able to find anywhere else. Also, if you like the idea of supporting an indepdent winemaker and helping them chase their dreams, Naked Wine might be perfect for you! Naked Wines offers $100 off vouchers for your first order that you can easily redeem by visiting their website and choosing a red wine, white wine, or mixed case including both. From there it will cost you $40 a month to be used on the wine of your choosing. Get Great deals on wine! While slightly different than other wine subscription models, you pay a monthly fee that goes towards the purchase of a case of wine. Customer service is quickly available and helpful, and you can select great quality and independently made wines at ease. Previous articleWinc Review – Legit Way to Get Quality Wine in the Mail? I got one of the $100 off coupons for Christmas and wanted to know more about it which led me here. It was good to know that I would join a waiting list and be charged $40 a month that can be used on wine purchases as it seems like a lot of people online didn’t know that would happen (or ignored the emails). I just ordered my first case and it looks like they have a ton of selection for my next order so I’ll be keeping the monthly subscription! I received a voucher to try Naked Wines from a friend and decided to give it a try. I love the idea of trying new wines that aren’t available at my local wine shops. I think they have a great selection of reasonably priced wines. Thanks for your feedback, Emily! Really happy to hear you tried Naked Wines.Hope you’ll continue to enjoy them. I tried Naked Wines because I really love the idea of supporting small independent wine makers. I started with the mixed case of wines and really have enjoyed them.So far I’ve had an excellent experience and can’t wait to try some more. Thanks, Karen for your feedback! Really happy to hear you’re a satisfied subscriber. After receiving my first case of wines I was put on a waiting list. I received a few emails letting me know I was gonna be charged $40.00 once I became an Angel. I ordered more bottles and love trying them each month. Thanks Naked Wines! Thanks for sharing with us, Rhonda! I’m very happy to hear you’re enjoying your Naked Wines subscription. Very easy ordering and fast delivery right to my door. They offer a large selection of wines you wouldn’t find in your local stores. I’ve had a lot of fun sampling many different wines. Thanks for sharing with us, Denice! we appreciate your feedback. I’m glad you’re having fun sampling many different wines.